About the song: This song, employing an extended pentatonic scale, is useful in teaching the minim, as well as low la the pentatonic scale. 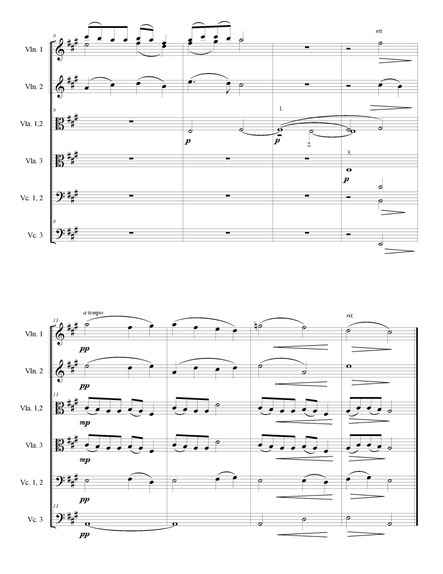 About the arrangement: After a short introduction from the violas, this instrumental arrangement shares the melody between cellos and violins. The introductory material returns before a final verso of the melody is played by the cello.